I’ve been saying to myself for a while that I need to get back into some kind of campaigning again, but it has been hard to know what. As a non-voter in Australia I feel a bit odd about getting involved with a political party across here, and obviously I can grumble about UK politics as much as I like but I’m not really in a position to do much about it. There doesn’t seem to be as much of a lively NGO sector here as there was in Scotland, and family life means that I feel less inclined to spend my weekends waving placards and shimmying up lampposts. Although somewhat ironically having a family means that I’m now keener than ever to see a world which is safe and happy for DorkySon to grow up in. Two weeks ago, when I heard the terrible news about my friends Marc and Philip losing their lives in the Arctic, I told myself that it was time to get back into climate change campaigning. I’ve been a bit nervous about how to do that, because it is more than six years since I worked with Stop Climate Chaos. Obviously the basic science hasn’t changed much since then – we’re still doing an excellent job of messing up our planet – but in terms of the language and tone of campaigns I have been feeling quite out of the loop. The other challenge I always faced with any kind of environmental campaigning, but climate change in particular, was that it could get overwhelming very quickly. It is such an enormous issue that no matter how many letters you write to MPs, or how many petitions you sign, or how many light switches you flick off in your own home, you feel like you are not doing enough. It can be quite demoralising caring so deeply about something where major victories are rare. But isn’t it funny how sometimes things seem to come to you at exactly the right moment? The very same day that the news came through about Philip and Marc, I got an email from the Guardian asking if I would be interested in becoming a blog ambassador for their Keep It In The Ground campaign. 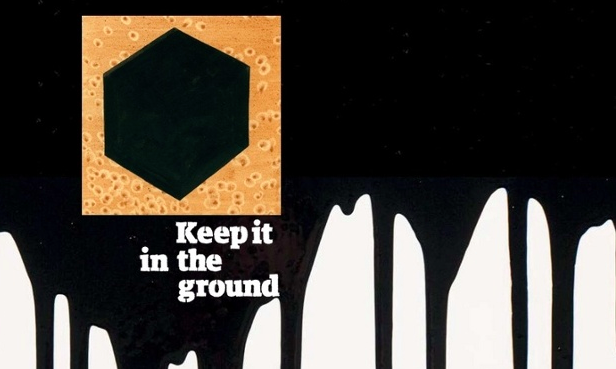 Keep it in the Ground is a brilliant campaign because it is so focused on a tangible outcome. It is calling on the world’s two biggest charitable funds – The Wellcome Trust and the Gates Foundation – to move their money out of fossil fuels. The campaign petition already been signed by over 200,000 people – and if you haven’t already put your name to it I would urge you to do so. But more than that, the campaign brings together videos, poetry, podcasts, news stories, opinion pieces, and incredible photography. It provides many opportunities for engagement and education that I hope will appeal to a broad cross section of people. Now that climate change is back on my radar, I am seeing it everywhere. I see Australians trying to protect the Great Barrier Reef, despite the best efforts of their Government, who have been lobbying UNESCO not to label it as ‘in danger’. I see activists in Seattle taking to kayaks and paddleboards to protest against Shell drilling in the Arctic. And I see students occupying the finance department of my old university in protest at The University Court’s decision not to divest, despite the recommendation by the Central Management Group to do so. I am reminded that when you campaign on climate change you are never alone. There are others out there who will support you when your campaigns fail, and will celebrate with you when they succeed. I have been thinking a lot about Marc and Philip in the last couple of weeks, and connecting with others who knew them. We have all been chatting about our memories and our abiding impressions of the two men. More than anything what we remember is their belief that your personal efforts are hugely important but that you should never forget that they are part of a massive collective effort. I may be sitting behind a computer in Hobart Tasmania. But I stand shoulder to shoulder with the activists in Seattle and Queensland, the students in Edinburgh, and all 203,000 people who have already signed the Guardian’s petition. I hope very much that you will too. The Guardian’s petition to The Gates Foundation and the Wellcome Trust is here. The Keep It in the Ground campaign site is here. Perfect timing- isn’t the universe strange like that? Every bit we can do counts. Believing that is the only way to keep going forward. I’m travelling across the US right now and groundswell environmental campaigns and worries are everywhere, particularly regarding fracking (another thing we should leave in the ground), gas pipelines and coal. Older people talk about changes in weather patterns and worry about what will happen to future generations.